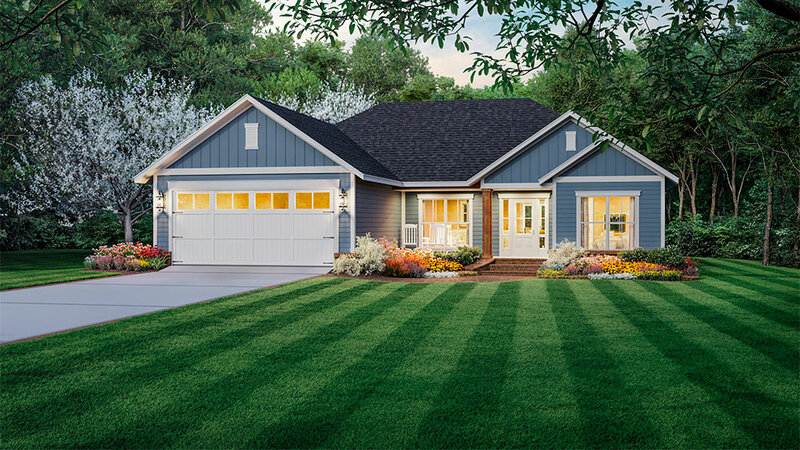 PLAN DESCRIPTION This new affordable charming farmhouse ranch house plan features 2,327 square feet in a functional split bedroom layout with an open center living area. The vaulted kitchen overlooks the deck and has an ample size island with seating. The private master suite enjoys easy access to the laundry room. 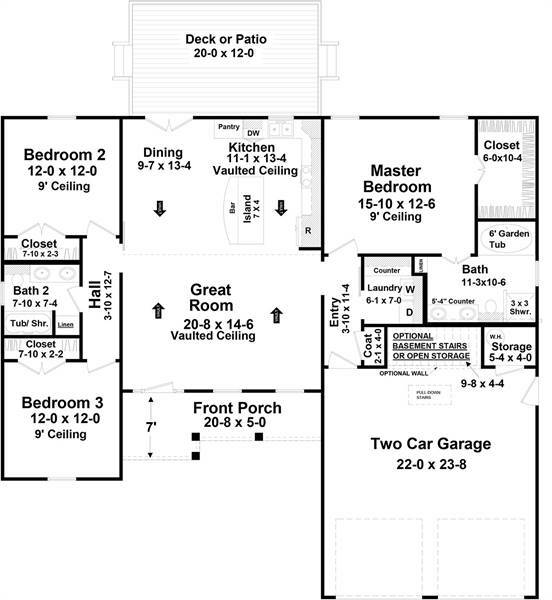 A two car front entry garage has an optional entry to a basement for added living space.